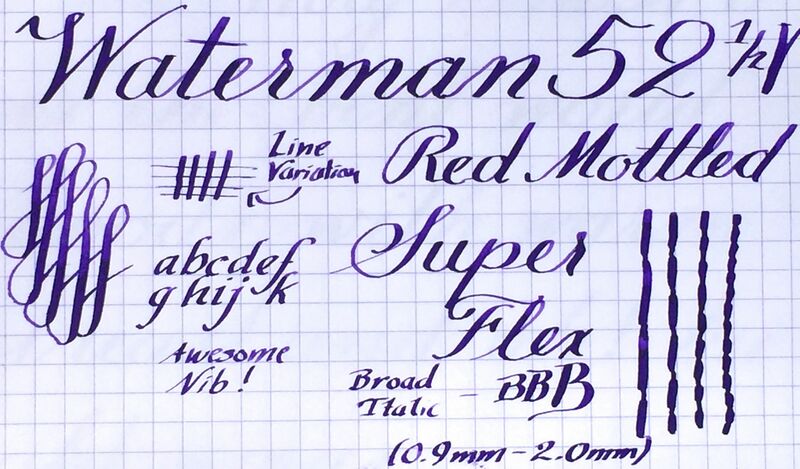 Here is a beautiful combo of a Waterman 52 1/2V and pencil in red mottled hard rubber. The hard rubber shows very little fading and still retains some shine. The trim on both pieces looks very good with no signs of brassing. 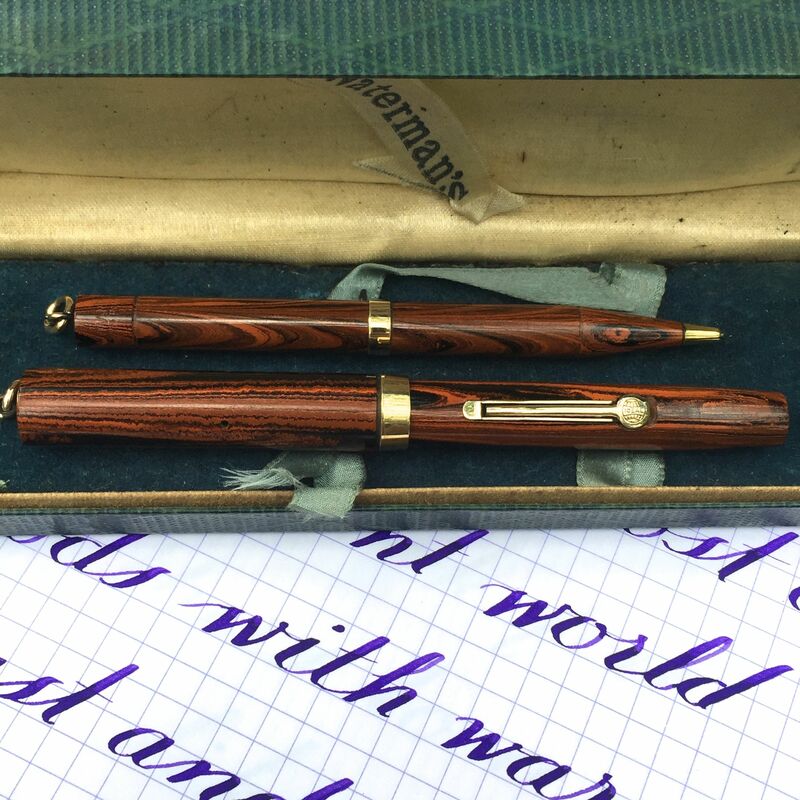 Both pieces have very good imprints on them and the inscription “Pauline Gold.” I have done nothing to the pencil but shine up the trim a bit. I am also including the original box the combo came in. 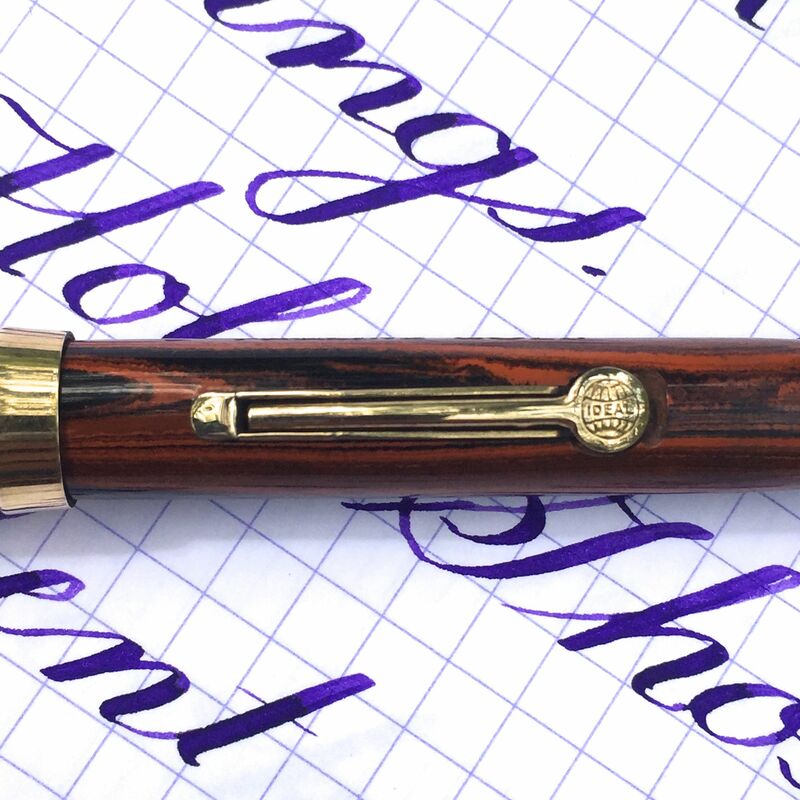 The real joy of this combo is the pen’s 14kt. 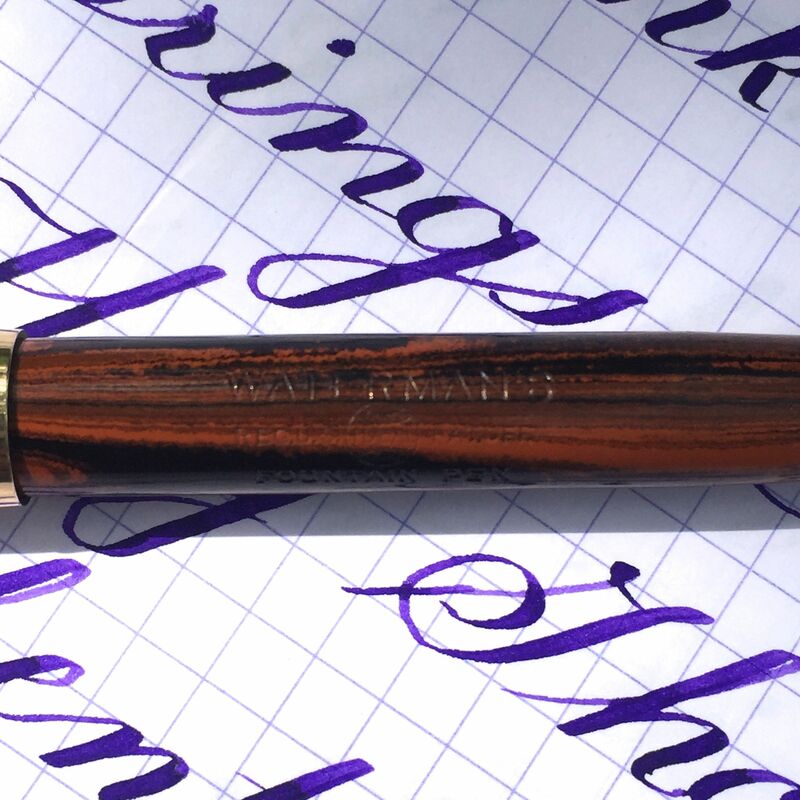 Waterman #2 nib. 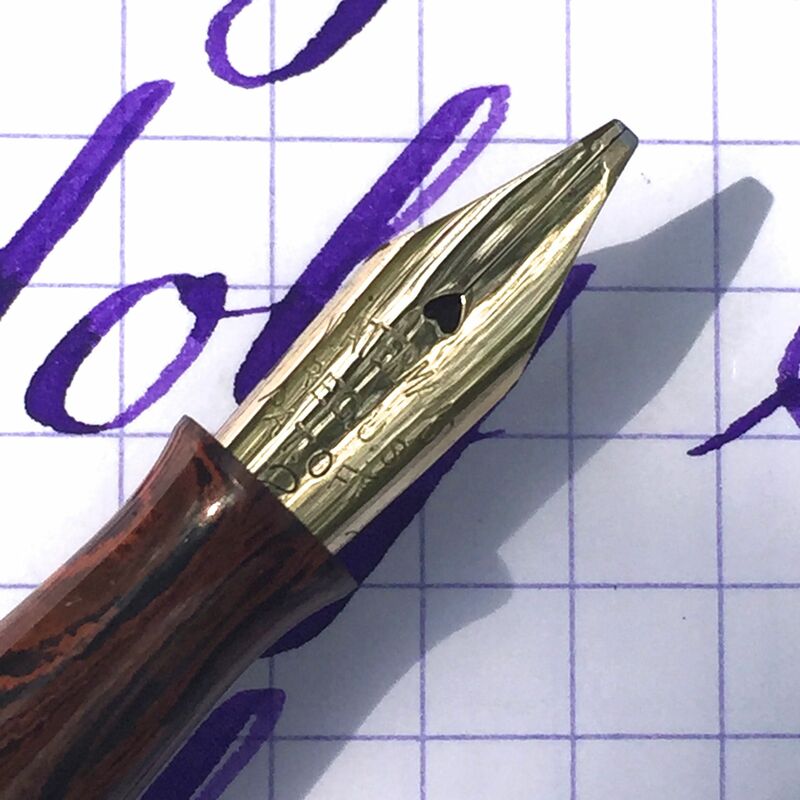 It’s a broad (0.9mm) factory italic nib and it is beauty. 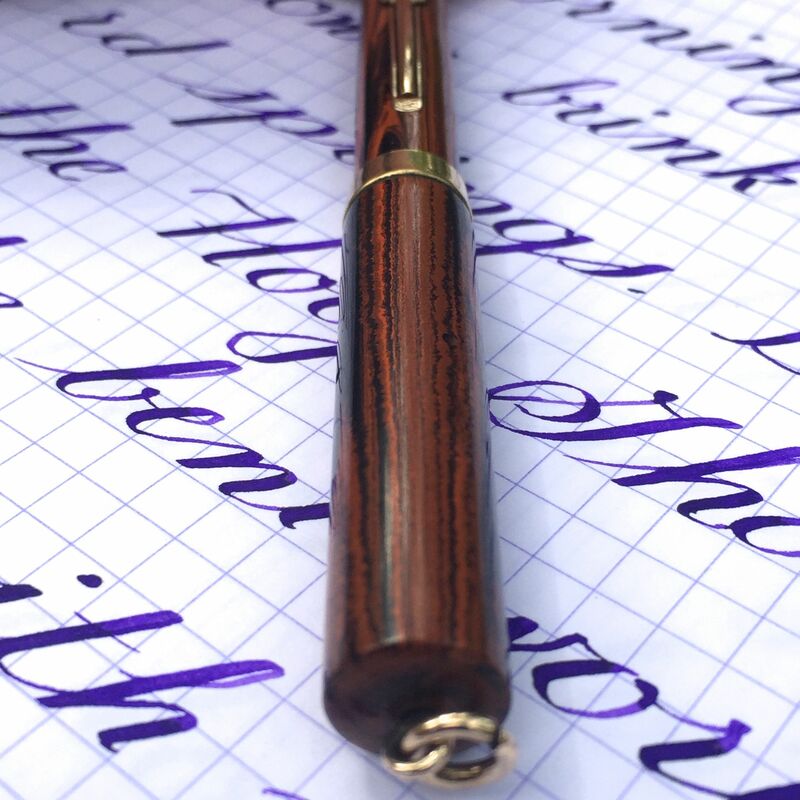 It has fantastic line variation in normal writing, and it is smooth and juicy. 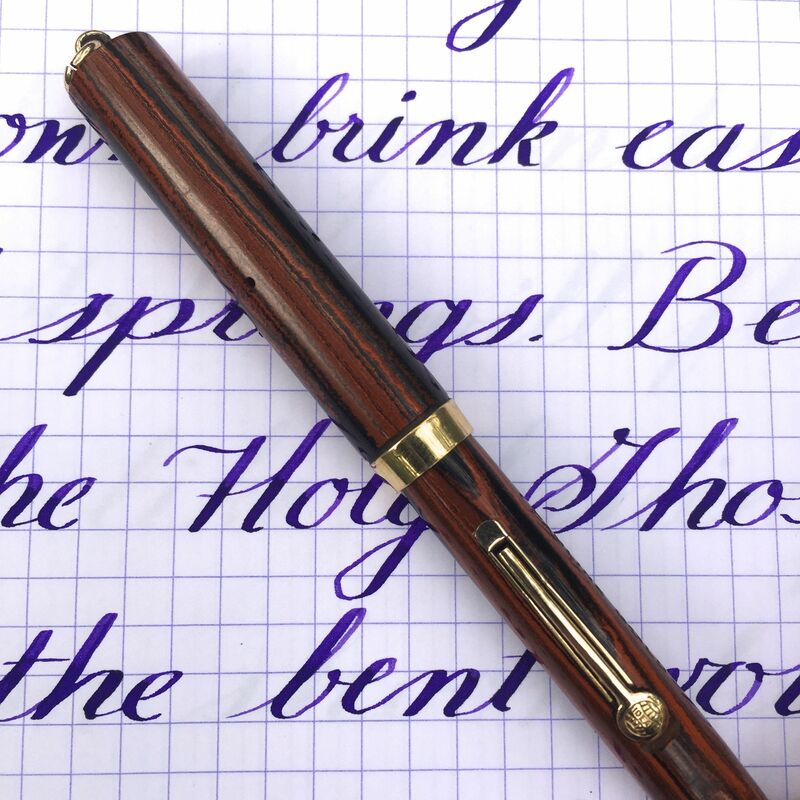 Add to that the fact that it is a soft super flex nib as well, and you have the makings of a truly special pen. It’s a pure joy to use.